Baby heart rate monitors, also known as fetal heart rate monitors or doppler, are used by many women during their pregnancies. It is now possible to hear the babies heartbeat at home between appointments which may ease any fears or concerns a pregnant women may have in regards to the health of her unborn child. 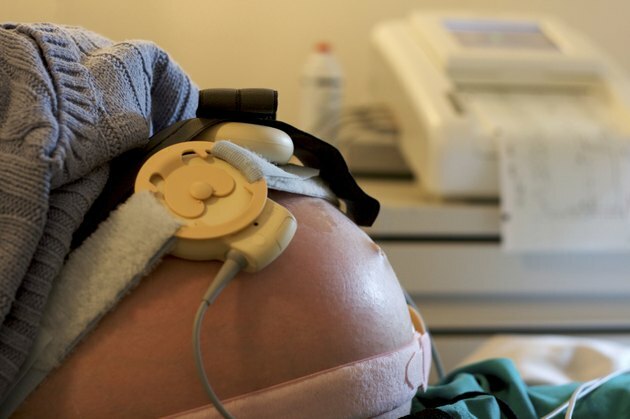 It should be noted that while these monitors are safe from a physical standpoint, their ability to find or not find a fetal heart rate, even in a perfectly healthy baby, can be upsetting. Consult your doctor before deciding whether you need a fetal heart monitor. Fetal heart rate monitors work using low emission ultrasound technology. Monitors are regulated by the FDA and approved for in home use. These monitors should be used under a physicians approval and should not replace the consultation and care of a medical professional. While the monitors are safe to use at home, ultrasound exposure should be limited as much as possible. A handheld fetal monitor works by using a probe to detect the high frequency sound waves produced by the baby's heart through ultrasound technology. A conductor, such as gel or oil, is used to magnify the sound waves so they can be picked up by the probe and the sound is amplified through the monitor. Fetal monitors available for use at home work in the same way the monitors used by physicians offices do. Heartbeats can be detected as early as eight weeks gestation but it is not recommended until ten or twelve weeks with nearly 100 percent success rate in finding the heartbeat after fourteen weeks. At home monitors are simple to operate by placing gel on the woman's stomach right above the pelvic bone and moving the monitor around until the heartbeat is found being sure to tilt the probe at different angles in order to pick up the heartbeat. Results produced by fetal monitors is not a replacement for the care of a medical professional and all questions or concerns should be addressed with your health care provider. In addition to hearing the heart beat with the monitor, it is also possible to calculate the heart rate. Calculating the heartbeat is one of the best ways to ensure you are listening to the baby's and not your own heartbeat. In order to calculate the heartbeat picked up by the monitor, count the number of heartbeats over ten seconds and multiply by ten. The normal range of the baby's heart rate should be between 120 and 180 beats per minute, but can vary outside this range. The normal adult heart rate is between 60 and 100 beats per minute. If you have any concerns related to the heart rate, contact a medical professional. There are several options of fetal heart monitors available for purchase and rent. There are digital models, models that include a recording feature and standard audio models. The monitor should be FDA approved to ensure it's safe to use during pregnancy.